To prepare competitors for taking part in a Spartan Race obstacle challenge, Spartan Race Training UK was launched. Weekend training camps, soon to be staged UK-wide, proved very popular. As part of a focused PR campaign, we also recruited large numbers of runners and reviewers from the media, resulting in widespread coverage, and this helped to boost registrations for race days. 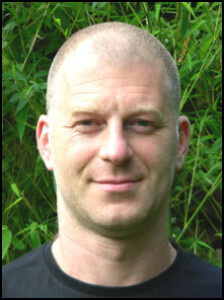 Alec Lom is the Media & PR Director for Spartan Race UK. His brief was to help promote the training side to the brand http://spartanracetraininguk.com. From the onset, Alec has devoted an incredible amount of energy and enthusiasm to making sure that we optimised national, regional and genre-specific exposure. This has been consistent and has led to multiple news, blog and article publications both online and in print. I consider Alec as a good partner to be able to work alongside. He is reliable, efficient and he has good integrity. Always planning, briefing and supporting the whole way. I look forward to our continued media relationship.